Harpenden Mill Autocare provide a friendly and reliable service to the the local Harpenden and St Albans area, offering a complete, all-round service under one roof. We carry out servicing for all light goods vehicles, from Transit vans to pickup trucks. 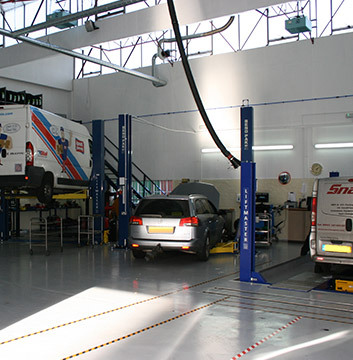 Whether an interim service or a full annual service, our highly experienced team of technicians use the very latest diagnostic equipment to ensure that every component is running at an optimal level. At Harpenden Mill Autocare our team of technicians will ensure that your work vehicles are in good and safe working order. Our technicians are always available and happy to discuss your vehicle service needs and repairs. You can rely on us to carry out light commercial vehicle servicing throughout the Harpenden and St Albans area - all at competitive rates. Contact us today to find out more, or to book your service.